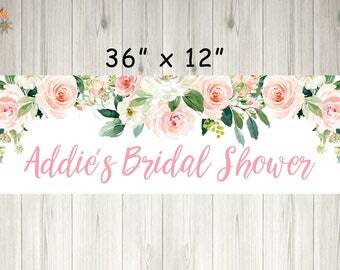 Bridal Shower Banner, Blush Floral Bridal Shower Decorations, Wedding Shower Banner, Printed & Shipped 36" x 12"
Announcement So Sweet Party Shop specializes in personalized, handcrafted party decorations for birthdays, baby showers, bridal showers, weddings, bachelorette parties or any celebration! 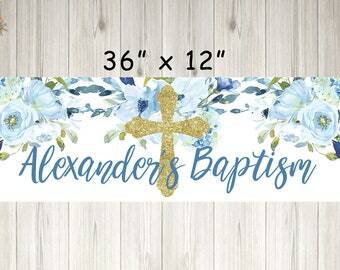 Shop our beautiful, handcrafted decorations, personalized, printed and shipped to you complete. 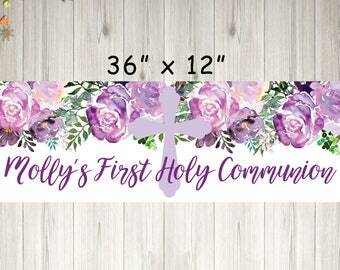 Items are shipped via either First Class Mail or USPS 2-3 day priority mail. 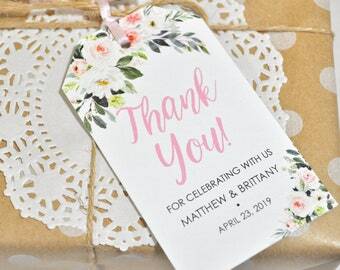 So Sweet Party Shop specializes in personalized, handcrafted party decorations for birthdays, baby showers, bridal showers, weddings, bachelorette parties or any celebration! 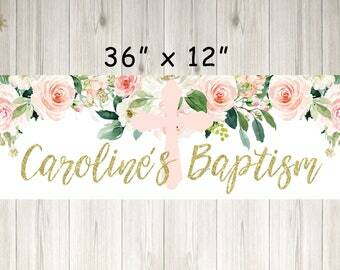 Shop our beautiful, handcrafted decorations, personalized, printed and shipped to you complete. 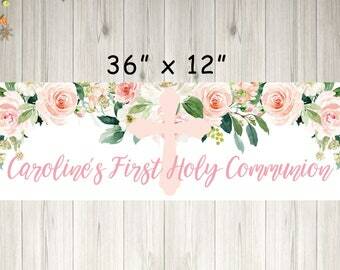 First Holy Communion Banner, 1st Communion and Baptism Party Decorations, Baptism Banner Girl, Baby Christening, Printed & Shipped 36" x 12"
Reserved for chalotte summit - Class of 2019 Banner 36" x 12"
Baptism Banner Boy, First Holy Communion Banner, Baby Christening, 1st Communion and Baptism Party Decorations, Printed & Shipped 36" x 12"
First Holy Communion Banner, 1st Communion and Baptism Party Decorations, Baptism Banner Boy, Baby Christening, Printed & Shipped 36" x 12"
Baptism Banner Girl, First Holy Communion Banner, Baby Christening, 1st Communion and Baptism Party Decorations, Printed & Shipped 36" x 12"
Bridal Shower Banner, Blue Floral Bridal Shower Decorations, Wedding Shower Banner, Printed & Shipped 36" x 12"
Arrived quickly and exactly as advertised- thank you!! It's hard finding Baby Shark birthday decorations. When I do find something, they are priced so high. 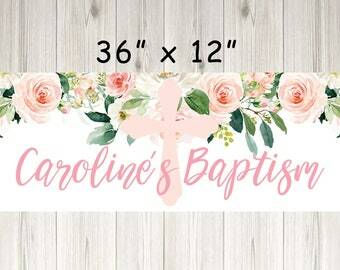 SoSweetPartyShop offered this awesome banner at an affordable price! It looked perfect when it arrived! 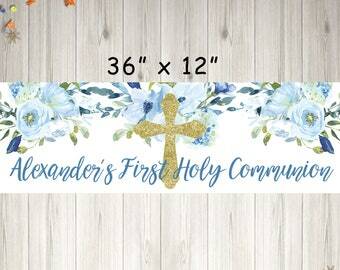 Very colorful and great quality print. Thank you very much! 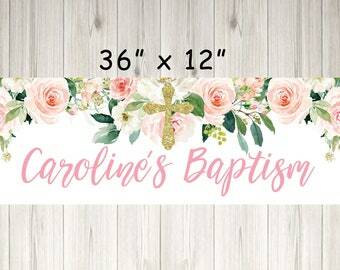 Baby Shark Birthday Banner Personalized Paper Banner Printed and Shipped 36" x 12"
Everything arrived on time and looks awesome. Thank you so much Natalie for changing the wording on the banner last minute. Thank you for making this a VERY special 1st birthday. You guys ROCK!!!!! 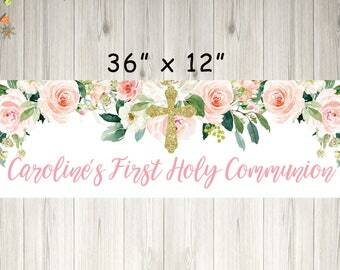 Baby Shark Birthday Party Banner Personalized Paper Banner Printed and Shipped 36" x 18"
Back to school is always bittersweet! Celebrate the end of summer and new beginnings with a back to school party! 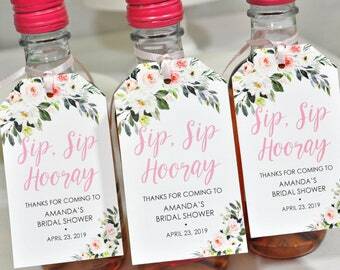 Personalized bridal shower decor. 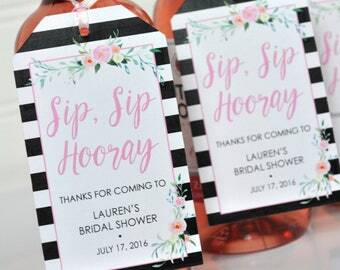 Mini wine bottle favor tags, water bottle labels, favor stickers and tic tac labels. Hello! 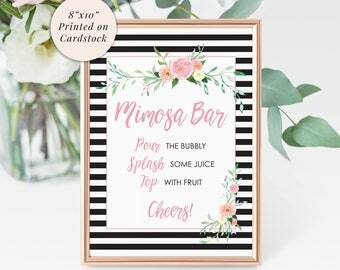 I am Natalie owner and creator of So Sweet Party Shop, creating unique, personalized parties since 2010! 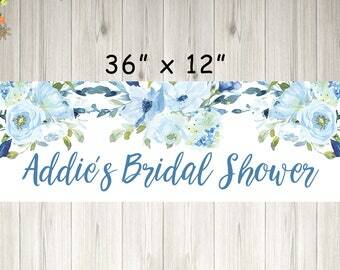 I love creating beautiful, unique designs that you cannot find at a traditional party store. Sweet parties start with us!